A vibrant explosion of colour hits the Air Force 270. 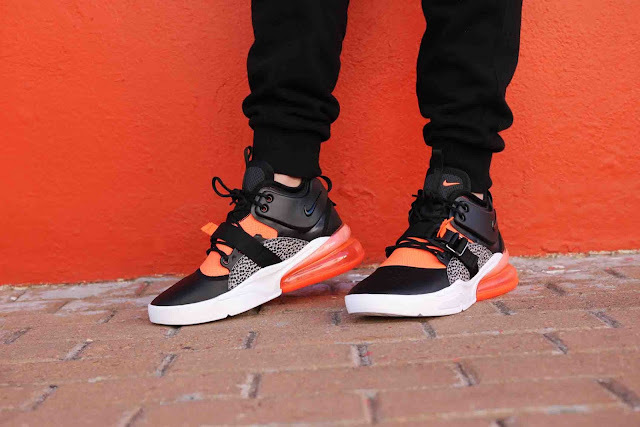 The orange colourway is stamped across the forefoot as well as the ankle surround and Vapormax Unit in the heel. The cutting-edge aesthetic is made even more impressive thanks to the synthetic overlays and sections of lightweight neoprene. Strategically placed ventilation holes ensure comfort to the foot on those warmer days. 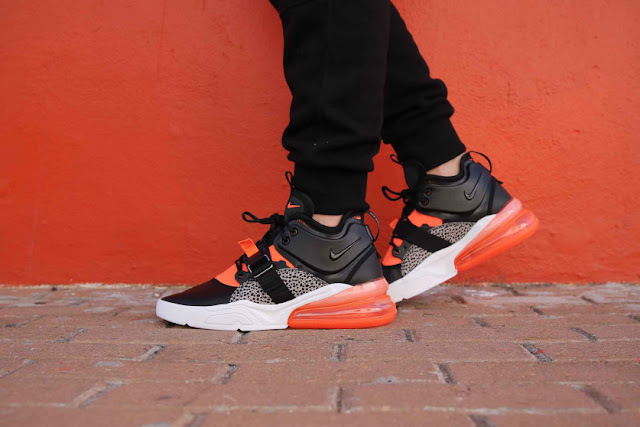 It’s that Vapormax technology which makes the Air Force 270 Safari so appealing. This propels each stride with weightless and responsive cushioning. It may look totally bizarre but don’t be fooled, this is one of today’s most ground-breaking silhouettes. 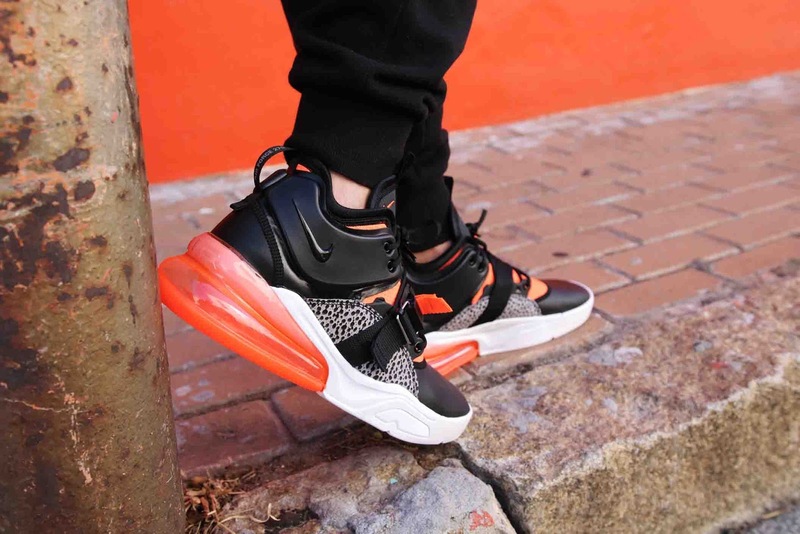 The Nike Air Force 270 'Safari' is available at selected retailers.